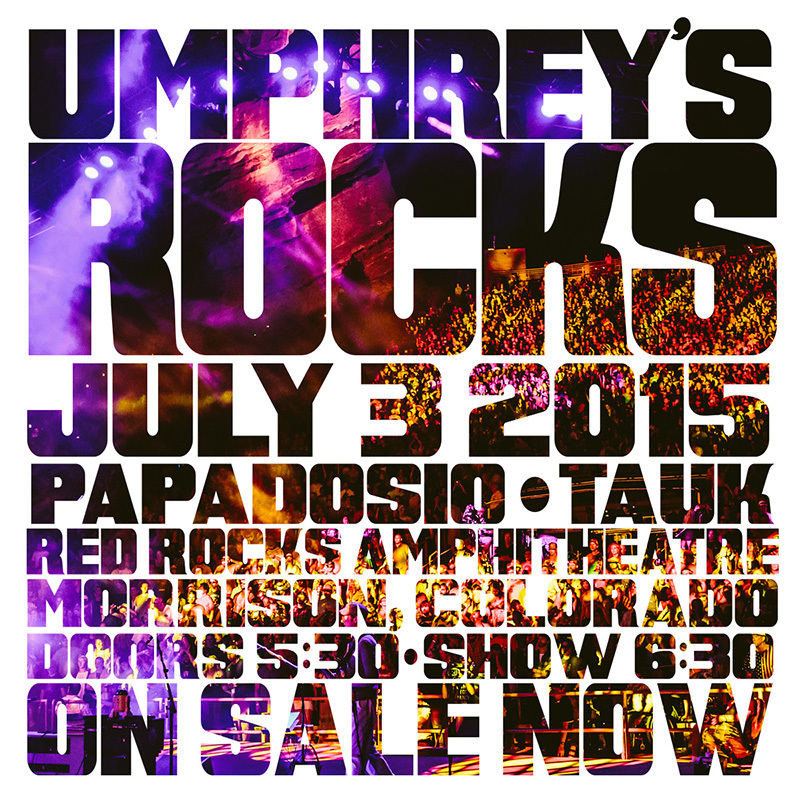 Umphrey’s McGee returns to Colorado this summer to headline the one and only Red Rocks Amphitheatre for the sixth consecutive year on Friday, July 3rd to celebrate Independence Day weekend. In addition to a two-set rock show, we will be accompanied by the progressive psychedelic rock of Papadosio as well as the gritty funk-fusion rockers TAUK. Umphrey’s McGee will also return for an intimate pre-Red Rocks show at the Boulder Theater on Thursday, July 2nd. Pre-sale for umVIP packages and two-show ticket packages will begin on Wednesday January 28th at 10:00 am MT via Umphrey’s Ticketing. General on-sale for Red Rocks begins Saturday, January 31st at 10:00 am MT, while LiveNation and KBCO will hold their own pre-sale for Red Rocks-only tickets on Friday January 30th at 10:00 am MT (password: HEADLINER).